Our hands-on, one-on-one, Google Ads training is great for people who have the time to set-up and manage their own campaigns just not the expertise. Perhaps you’re just beginning with Google Ads for your business and need some pointers on how to set-up your campaign? Or you need some ideas on how to improve your campaign performance? Or maybe you’re stuck with one particular concept within Google Ads? We offer Google Ads individual tutoring, tailored specifically to suit you and your business needs. How to use campaigns and ad groups to increase traffic and reduce your costs. How to filter out the visitors you don’t want and avoid wasting your marketing budget. How to find low cost keywords that will make you budget go further and how to use keyword match types correctly to reduce costs. How to make your ads stand-out from the crowd and how to increase the number of clicks you get. What it is, why it affects your Google Ads costs, and how you can improve it. How to set your bid prices and maximise your daily Google Ads budget. How to set-up conversion tracking and tips to improve your landing pages so you can drive a higher conversion rate. How to identify and fix low performing areas of your Google Ads account. The Google Ads (AdWords) training is run by Camilla Pettica. Camilla is an energetic and skilled Digital Marketing Specialist at Angelic Digital. She has over 15 years marketing experience formulating and delivering marketing and campaign strategies for several Fortune 500 companies across a number of industries including travel, retail, fitness, financial services and professional services. She is certified in search advertising by Google and loves it. 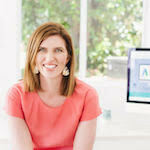 She enjoys managing Google Ads accounts as well as training people to get the most out of their accounts. If you would like to find out more about Camilla, visit her on LinkedIn or Twitter. Training duration can vary from 1 hour to 2 days based on your requirements. Dependent on the type of session required, the training can take place via Skype, in our office or your own workplace.